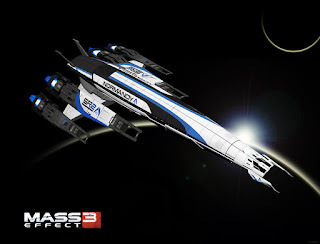 Mass Effect 3 hits shelves in a week and many gamers are dying to get our hands on the game, myself included. What's a good way of passing the time while you wait? How about a video giving you the complete tour of the new Normandy and some of its features. The video, courtesy of the gents over at CVG, does a good job of not revealing too much about the new ship. In a few days everyone will be exploring the ship but for now enjoy your tour. A new piece of DLC for Final Fantasy XIII-2 dropped earlier this week. This DLC is different from the outfits and Coliseum battle DLCs, Heads or Tails doesn't have any fighting or exploration. 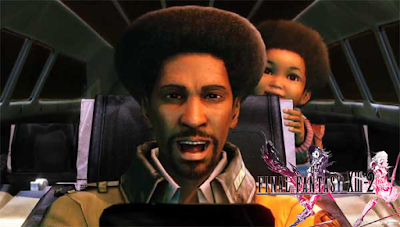 It involves a series of casino related mini-games that you play in-order to gain medals, these medals unlock Sazh as a party member once you gain enough. You can download the DLC for 400 MSP on XBLA and $5 on PSN. If you're a subscriber of HBO or you just like the channel you'll be pleased to learn that HBO Go is coming to Xbox Live this April. HBO Go is HBO's video streaming service that gives you access to watch all their content including shows, movies, documentaries and more. This is just one of the many new apps that Microsoft is offering to Xbox Live user. 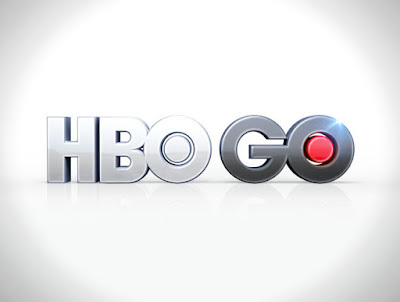 However with an active subscription with your cable provider need to use HBO Go, how do you think it will be received? It's been some time since we heard anything about Borderland 2 from Gearbox and 2K Games. Well that changed this morning when they released a new trailer showcasing the new playable characters, NPCs, enemies and some of the new enhancements within the game. To top it all off, the official release date for the game has been set for September 18. Of course I think Claptrap stole the show in the end of the trailer. How do you like this new trailer? And How excited are you to play Borderlands 2 when its released? We've all become familiar with pre-order incentives, so it should come as no surprise that Yager Development and 2K Games have decided to offer incentive for Spec Ops: The Line. The third-person shooter set to be released later this year will come with several multiplayer perks when you pre-order the game. Spec Ops is slated for a June 26 release. A new Hitman Absolution trailer gives a brief history of one of the games characters, Diana Burnwood. This trailer looks like its the first of a series that will introduce the characters before the game is released, so stay tuned. This week in releases is rather exceptional. Why you ask? Well because of one thing, the launch of Sony's next handheld the PS Vita. The Vita will be released this Wednesday, February 22. Although its release is this week several video game journalist sites have already reviewed the system and several games last week. Check out GameInfromer, IGN and Kotaku among others for their take on the console and the launch titles. Although the Vita maybe the highlight, there are great games being released. Asura's Wrath and Syndicate are both being released on the 21st with Alan Wake's American Nightmare being released on the 22nd. Additionally there will be a SSX demo dropping on the 21st. There's a lot to play this week, a new console, new IP, reboots and more. What are you most expecting this week? Are you getting a PS Vita? Its seems that we will be getting a new Assassin's Creed game this year. According to Ubisoft CEO Yves Guillemot the game will be arriving this October and will be released on October 30. It may seem that it's abit soon to release the next game in the series but apparently Assassin's Creed III has been in development for 3 years. No one knows what to expect or where and when the game will take place but we can look forward to more information as the months roll by. A new trailer for FarCry 3 has been released today and with it comes a release date of September 7 for Ubisoft's FPS. We've already seen gameplay for the game and know that it improves upon it predecessors while sticking to the formula. So, what do you think? Are you eagerly anticipating this release? Prototype 2 is scheduled to be release on April 24th and we've already heard of the RADNET Edition that comes with additional DLC. However the guys over at Activision and Radical Entertainment want to give you more. The Blackwatch Collector's Edition will offer the RADNET content, the games soundtrack, an exclusive artbook and much more. 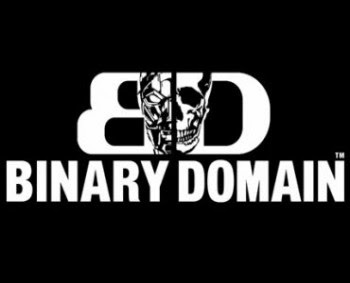 A bit unexpected but the Binary Domain demo landed today. By playing the demo players will get to experience the unique world and AI system that the game has created for both enemies and the players partner's. Binary Domain, by Sega and Yakuza Studio, is scheduled to be released later this month. We can finally get to see how M. Bison, Akuma, Jin and Orge are going to play in Street Fighter X Tekken, Capcom's upcoming fighter. The highly anticipated Mass Effect 3 gets a demo release today. In the demo you get to play the first few moments of the game and a later section that focuses more on the gameplay and storytelling. By playing the demo you also unlock specific in-game items for Kingdoms of Amalur: Reckoning that was released last week. The demo will hopefully help tide you over until the game is released in March. 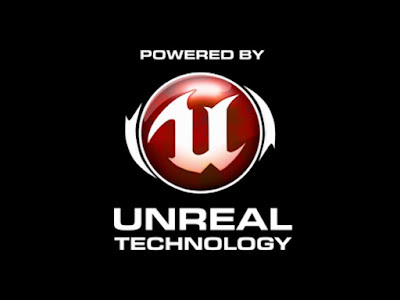 According to Epic's Mark Rein we could see the Unreal Engine sometime this year. Unreal Engine 3 has become a widely used engine in the industry and is the engine behind games like Mass Effect 3, Batman: Arkham Asylum and Gears. It will be interesting to see what comes out of Epic but we all know it will be brilliant. Starbreeze and EA have revealed the voice behind two of the characters in their upcoming game, Syndicate. 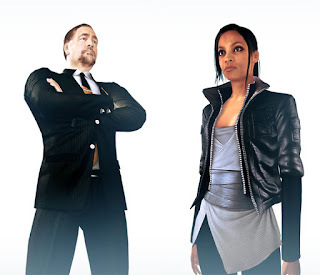 Brian Cox and Rosario Dawson play jack Denham, the CEO of EuroCorp, and Lily Drawl, a top scientist at EuroCorp and creator of the DART6 chip. Both Cox and Dawson are well known from their various films and it's great see them lend their talent to Syndicates reboot. Syndicate launches February 21st and 24th in the US and Europe repsectively. Sony's lovable Sackboy is moving into a new genre, the world of kart racing. 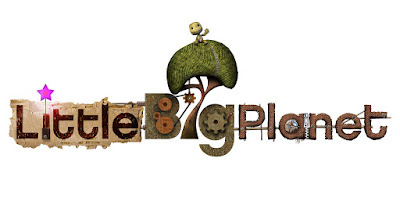 LittleBigPlanet Karting was part of the rumor mill for most of the week but has now been confirmed by Sony that it is in development and to stay tuned for more info. What's your take on this move by Sony? FemShep, the female version of Mass Effect 3's main character, takes center stage in the latest trailer from BioWare showing that playing as her is just as good as playing as Shepard. 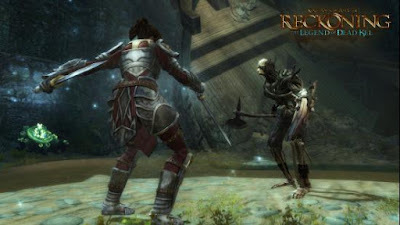 While it may not have been on the radar of many gamers, Kingdoms of Amalur: Reckoning has dropped and is making waves. 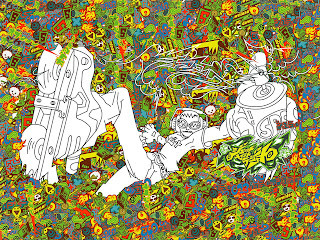 The game was released on February 7 and has seen several positive reviews. Many are comparing it to games like Fable, God of War and even Skyrim. It is a unique RPG experience with unique mechanics and interesting and vibrant world. The following reviews pain a clear picture on the world of Amalur, it is definitely one worth visiting. In less than a month the next installment of Mass Effect will be released. Mass Effect 3 will see changes in several gameplay elements and BioWare has released several videos to give a glimpse at what to expect. There's a video below but check the Cinema page for more. Skyrim is undoubtedly a great game. However, what happen when the developers take a week to do whatever they want with the game. Well the result is a list of impressive enhancements and tweaks that would make Skyrim the only game you play--EVER. Dragon mounts, new arrows, new spells and a new seasonal foliage system are just a few of what the developers came up with. Its not a sure thing that any of these changes will make it into the game but whatever gets put into the game it will be most welcomed and enjoyed. You may be wondering where the reboot of the True Crime series is after hearing about it a few years back. Well it seems that after the game was cancelled by Activision and later acquired by Square Enix, not much was known about the game after that--until today. A live action trailer for Sleeping Dogs was released today announcing that the game is still coming but under a new moniker. The video gives a 2012 release window, which isn't surprising since United Front Games is still the developer behind the game. A week before its release, Twisted Metal developers Eat Sleep Play has released information regarding the future of the company. The company has decided to take a different approach with developing games and will be heading to the mobile market focusing on iPhone and iPad games. 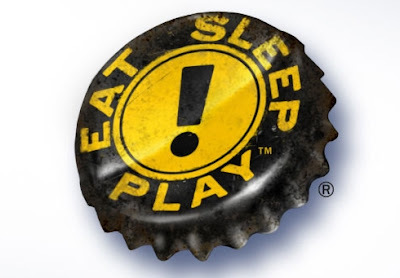 As a result Eat Sleep Play has also been hit with a few layoffs. Surprisingly co-founder of Eat Sleep Play, David Jaffe, will be leaving the studio to start his own in San Diego. Jaffe stated that he will leave Eat Sleep Play only after all the work on Twisted Metal is complete. With Twisted Metal launching on February 14 we'll have to wait and see how thing play out for both the game and the company. If you were eagerly awaiting the release of Microsoft Kinect Star Wars then you'll be glad to know that it has an official release date. After being delayed last year the game is set to launch on April 3rd. 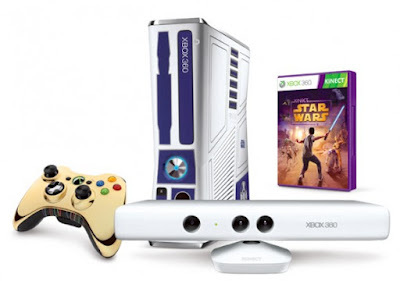 Alongside this release will also be the Kinect Star Wars themed Xbox 360 console. Kinect Star Wars will have several modes including Podracing and a Dance Off mode where you dance to Star Wars themed music. Will the force be with Kinect Star Wars when it's released or will it be just another Kinect title? The first piece of DLC entitled Opponent: Lightning & Amodar drops today for Final Fantasy XIII-2. This new add-on is the first of several like it that lets you take on a character(s) in a Coliseum Battle. After fighting and defeating these characters you will be able to add them to your team. For this round it's the Lightning we all know and love and Amodar, who you saw briefly in FFXIII, that will be your challengers. Opponent: Lightning & Amodar is available on both PS3 and Xbox 360. With more Coliseum Battles planned I wonder if Square has any surprises for us in regard to the characters we can fight and obtain. About a week ago Bethesda released a video detailing the Skyrim Creation Kit and some of its features. The way it's integrated with Steam to make uploading and finding created content that much easier, the ability to create detailed scenarios as the developers do and more. The video didn't give an estimated date for the release but thanks to Pete Hines and Destructoid we now know that the Skyrim Creation Kit will be dropping tomorrow. All players who want to create a unique experience in Skyrim based on their own story will soon be able to do so adding hours onto your time within Skyrim. After the gates were open last week following the releases of FFXIII-2, NeverDead and Soul Calibur V the industry is kicking into high gear. The reprieve that occurred in the beginning of the year is now over. This week we see high profile releases such as Kingdoms of Amalur: Reckoning, an action RPG, The Darkness II, a FP Action Shooter, Shank 2 and Resident Evil: Revelations. 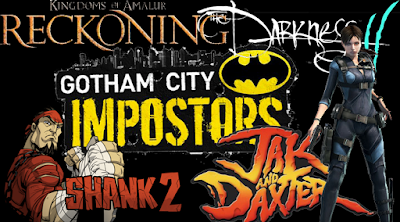 Some of the others game that will be released this week include Gotham City Impostors, Fallout: New Vegas - Ultimate Edition and the Jak & Daxter HD Collection. Now that's quite a list of great games, there's something for everyone. Kingdoms of Amalur has to potential to keep you occupied for months but with each week offering something new you'll soon be juggling multiple titles. A ten minute trailer showcasing both gameplay and cinematic action for the next iteration in CyberConnect2's Ultimate Ninja series. Both fans of the game and fans of the animated series will enjoy having to pick from over 70 playable character each with their unique fighting style. You can pick this up when it launches in March. Thanks to a Taiwanese site [Shoryuken] that posted the move list for Capcom's upcoming game Street Fighter X Tekken we can now confirm some of the rumored characters. Ogre, Jin, Akuma and M. Bison will all be playable characters when the game releases in March. Open environments, cool gadgets and tons of different gameplay elements are just some of the things that make Ubisoft's Ghost Recon Future Soldier an impressive game. As you can see in the single-player reveal trailer May cannot come soon enough. The chainsaw wielding heroine from Lollipop Chainsaw, the upcoming game from Grasshopper Manufacturer, isn't all tanks and mini-skirts. The new skins trailer reveals several alternative looks for Juliet including one inspired by the Evil Dead movie. If you're going to slay hordes of zombies you might as well look good doing it. Lollipop doesn't have an official date but is expected this year. Capcom's next venture into the Fighting genre with Street Fighter x Tekken is slated for release in March. However, in advance to the games release it seems that the DLC list for the game may have been leaked. According to the article on X360A acquiring every piece of DLC will run you a total of $55 and will include new gems, characters and costumes. 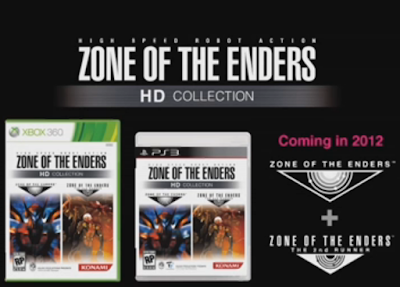 Each DLC has it own price point but it's like you're buying a second game just to get them all. 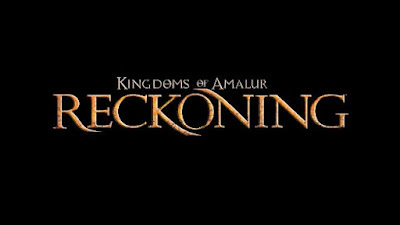 With February 7 just a few days away, gamers waiting to get their hands of 38 Studios Kingdoms of Amalur: Reckoning won't have to wait much longer. Until then let yourself be consumed by the launch trailer for the game, which is all levels of awesome. 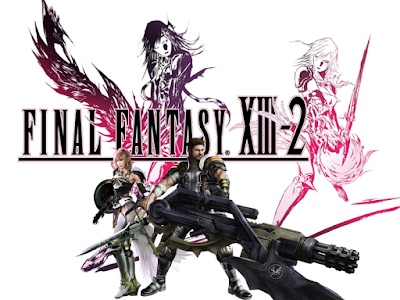 Final Fantasy XIII-2, Square Enix's follow up to Final Fantasy XIII, dropped yesterday. In this direct sequel you no longer play as FFXIII's heroine Lightning but as her sister Serah and newcomer Noel. They are tasked with finding Lightning, who has vanished, by traversing both time and space. Not having played the game myself I can't give you my impressions but here are a few who can give you a good idea of the overall experience.